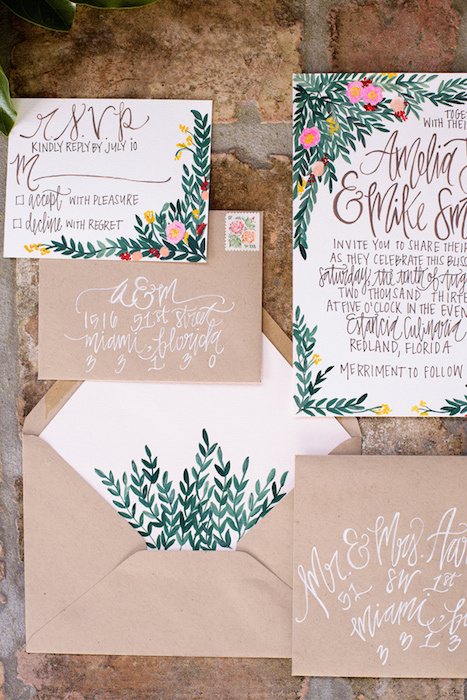 If the envelopes for your invitations are looking a little bland, then enter the envelope liner. This might seem like a small detail but liners have such a great effect on the look of your stationery. 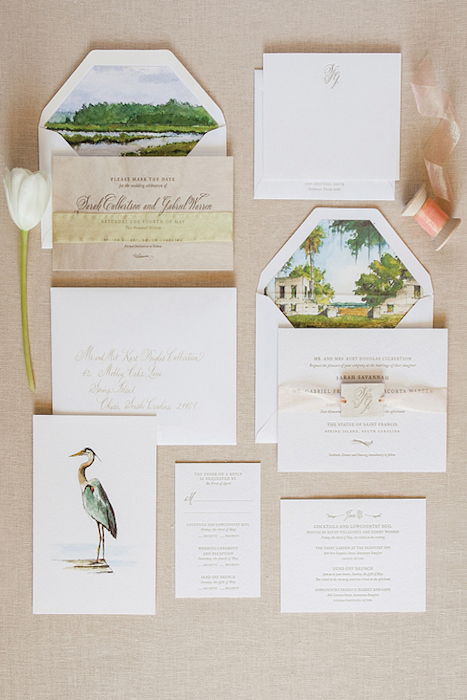 They also easily elevate your invitations if you’re thinking of going for a DIY project. 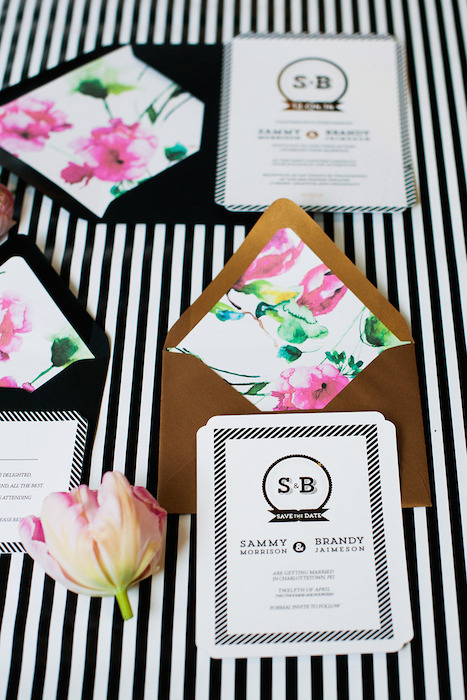 We’ve picked out 10 stunning designs for envelope liners that will really help to show off your color palette or theme. This gorgeous mountainous scene is frame-worthy. 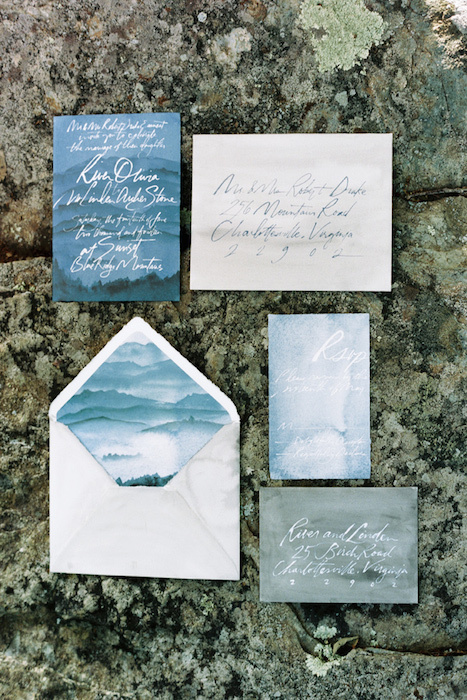 If you’re getting married in the mountains then this is for you, but if your wedding is themed around shades of blue; then this will also be a nice touch. 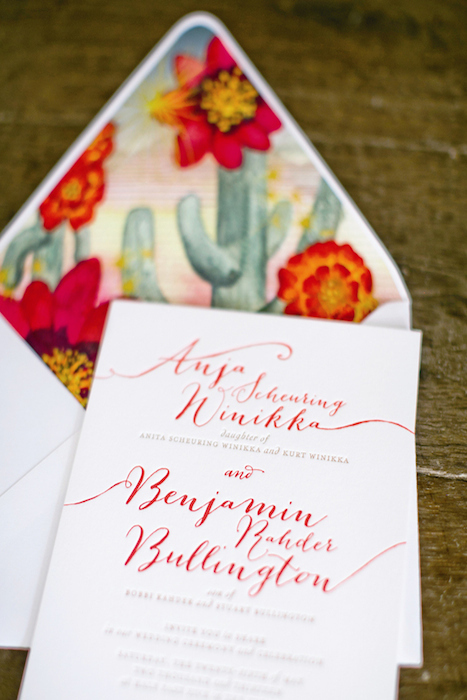 For an outdoor wedding with vibrant colors and a cactus backdrop behind you, this envelope liner will have your guests very excited for your day. 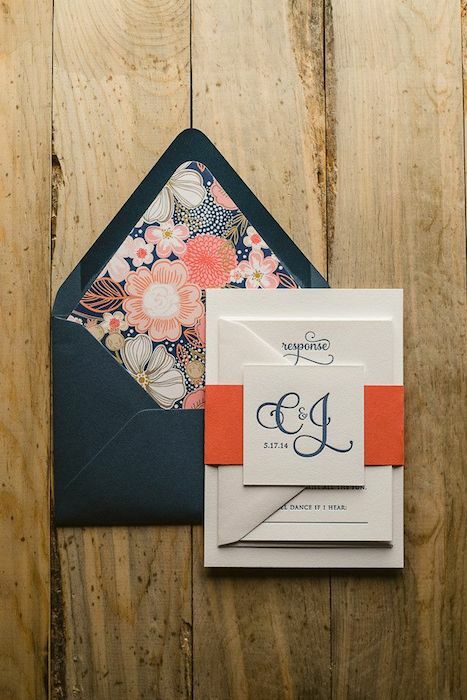 The contrast between this soft floral print and the dark black and gold envelopes has a lovely effect. 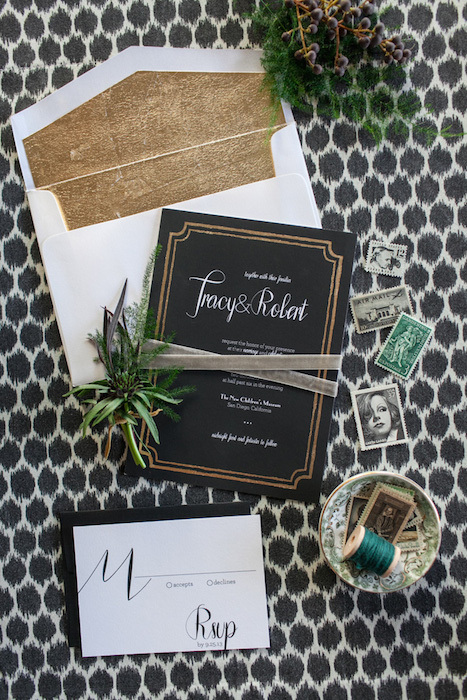 It adds a nice surprise for when your guests open their invitations. Ideal for a modern monochrome theme that’s in need of a few colorful touches. This envelope liner will fit in well with a classic set of cream stationery. If you’re focusing on a certain flower in your arrangements, this is a nice way to highlight it and keep the look consistent. 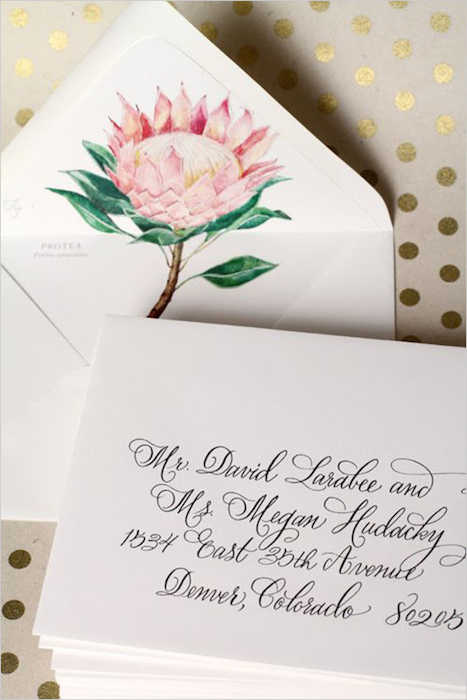 The vines peeping out from the envelope are genius and a whimsical addition to the stationery suite. Metallics are a fave for wedding stationery. We love this painted effect as it adds an unexpected texture. 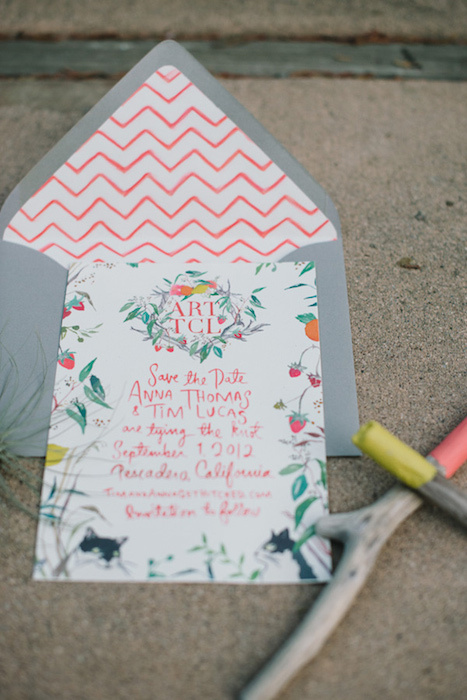 For a modern, graphic vibe these pretty doodles with a chevron pattern on the liner are a great idea for creative couples. 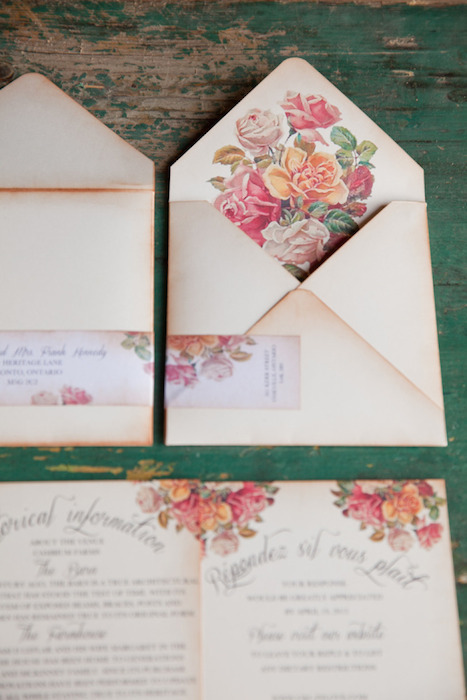 The combination of the stained envelopes and faded flowers make these invitations a match made for a vintage-inspired wedding. If you want to make a statement, go for a bold floral print that highlights your color palette. If you have a truly memorable venue, then capture it by using a painting for your envelope liners. You can also frame the watercolor paintings as a unique keepsake.